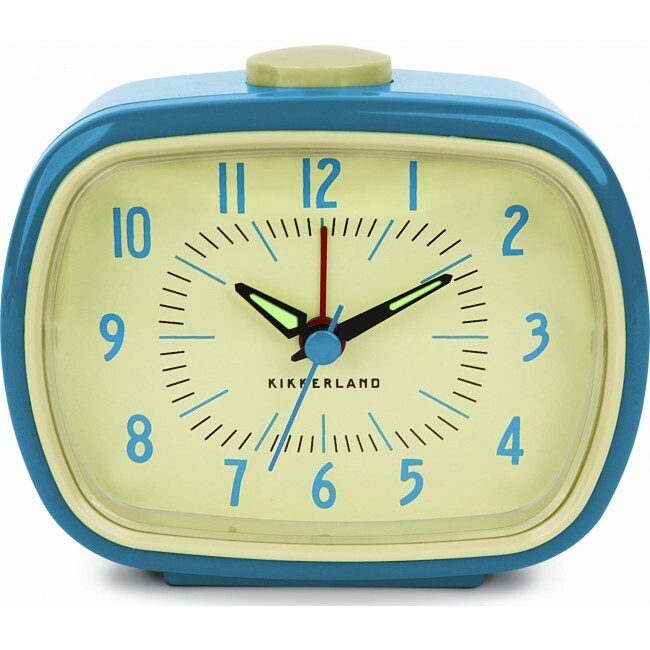 Add a touch of retro flair to your bedside table with this vintage inspired alarm clock. 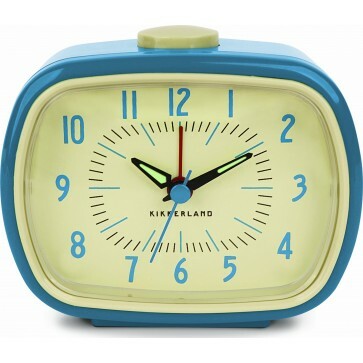 Blue plastic case and numbers with an ivory face and glow in the dark hands. Top shut off button for beep alarm. Requires 1 AA battery (not included). Size: 4.2 x 2.2 x 3.5 inches.